Description: Our Numurkah Ladies of the Lake have been formed since February this year. A visit from the Barooga Ladies prompted some of the Numurkah ladies to start their own chapter. There is obviously a need as there are 36 members on the list. All very busy ladies who also like to visit other gatherings throughout the state. We meet on the last Monday of the month and have morning tea most times but occasionally we enjoy lunch, especially if we need to travel to the venue. We often meet up with other ladies from around the area and we have been know to sing a few songs at our get togethers. 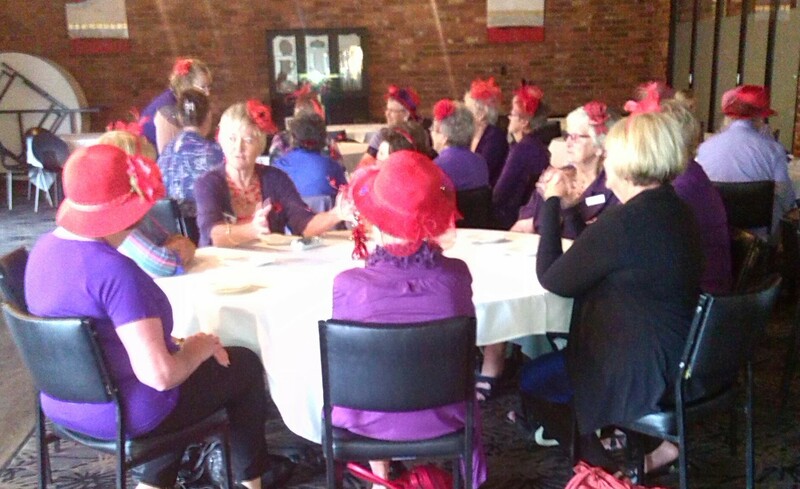 We recently joined other chapters at Tocumwal for a BIGGEST BREAKFAST. 18 ladies from Shepparton, Cobram, Kyabram, Numurkah, Wunghnu, Finley Numurkah and Barooga came together and enjoyed the food, company and weather. It’s always great to catch up with other chapters.